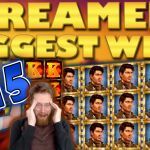 Which casino streamers had the best slot wins last week? Let us find out on today’s Big Wins segment. All hits come from the 19th until the 25th of November 2018. 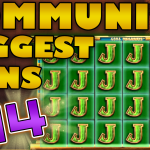 Part of our video compilation is Jarttuslots who was playing the Mystic Mirror. This is yet another book type game, with huge potential, which you can play on Dunder casino. As most book games the purpose is to get the free spins and then hope for a good special symbol on the bonus. In Jarttu’s case it was the lowest value symbols that became expanding. However, thanks to the streamers usual big bets, the total win of 801x the stake made for a massive payout. A streamer who is experiencing a great run, the last few weeks, is DCT. Thus, his big wins have resulted in him increasing his streams which we really appreciate. Therefore we feature today his massive win on Jammin Jars. By now, most of you are familiar with the incredible potential of this Push gaming slot machine. This is one of those slots that can give you a great reward, despite of your best size. Hence, regardless his €0.4 bet, DCT won €446 in total. Not bad at all! Now there is a game we don’t see very often. The Medusa 2 slot is an old title with only a few fans. Even though Medusa is featured in most online casinos, including Slotsmillion, players will more often go for the newer slot machines. However the game has quite of a potential, especially on the bonus round. Mikkapekka took full advantage of this potential, turning his €2.5 bet into a €1637 total win, on the bonus round. The three above are just a small part of today’s big win compilation. Many more casino streamers are featured on the big win clip. Among them we have APEHEHE smashing the Donuts slot, as well as, Huneasd making a return with a much needed big win. Moreover, the best slot streamer in the UK is also part of the clip. Yes I am talking about CraigSlots, and his win on Extra Chilli is a must watch. 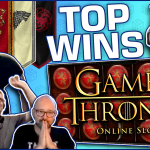 Unfortunately, due to YouTube regulations, we do not have individual clips of each of these wins. Nonetheless you can find them on each of the streamers personal Twitch channels. 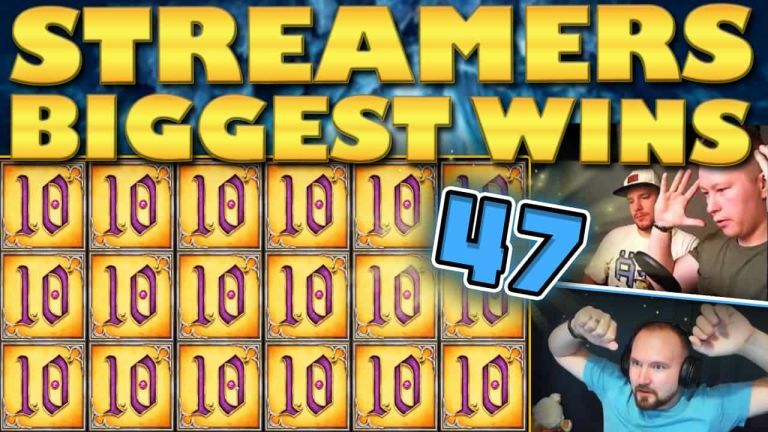 Tell us which win on Casino Streamers Biggest Wins – Week 47 of 2018 was your favorite. Moreover, share your thoughts in the comments. Also, make sure to check our other videos on CasinoGround’s YouTube channel.